Please update your Pledges to the aformentioned link if you'd like to keep up with this project! UNLOCK Mask Postcards! 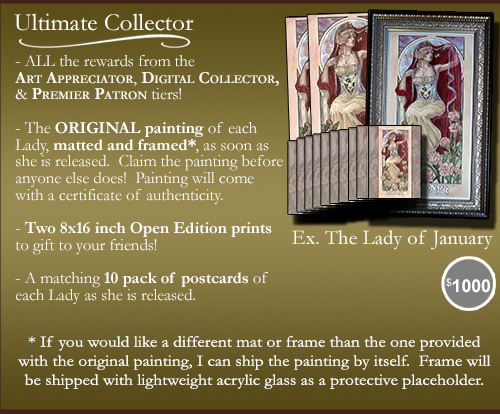 If we reach this goal, I'll add a postcard of the mask of each Lady as she is released to the Rewards for Patrons pledging at $5 and higher! This postcard will be autographed.